Darlene Gentry: A beautiful woman with a shopping obsession; a husband who could no longer foot the bill; a 22-caliber solution to the problem. Angelina Rodriguez: Frank Rodriguez is dead and, despite indications to the contrary, his wife insists its murder. Why would she do that when it makes her the main suspect? Mary Pearcey: The murders were so gruesome that some believed they were the work of Jack the Ripper. Could a woman really have done this? Valerie Parashumti & Jessica Stasinowsky: A young lesbian couple obsessed with murder; a 16-year-old runaway who needs a place to stay. What’s the worst that could happen? Bertha Gifford: Tireless “Good Samaritan” Bertha was always willing to help the sick and ailing in her community. But why were so many dying in her care? Christiana Edmunds: An obsessive young woman seeks to eliminate a love rival. Poisoned chocolates and a strip of postage stamps are her weapons of choice. Anyone who gets in the way is just collateral damage. Daniela Poggiali: Evil nurse Daniela not only murdered her patients, she took selfies with their corpses. 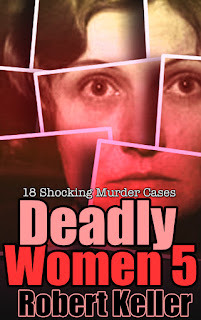 Stacey Castor: The chilling tale of a female psychopath who sent two husbands to an early grave and then tried to frame her own daughter for the murders. Keith Gentry could hardly believe his luck. Darlene Doskocil, the object of desire for every red-blooded male on campus, had agreed to go out with him. Keith had registered at the small Texas technical college to obtain a diploma in advanced welding techniques; Darlene was studying at the same institution for certification as a dental assistant. She was blond, blue-eyed and gorgeous and she was also fun to be around. Soon the two of them were an item. Within two years of graduation, they were married and settled into a comfortable home in Robinson, Texas, right next door to Keith’s parents. Their happy family unit was completed as three boys arrived in quick succession over the next few years. Life for the Gentrys appeared close to perfect. Darlene was a good mom who doted on her sons and ran an orderly, well-appointed home. Despite having three raucous youngsters to care for, she maintained her looks, her figure, and her glamorous persona. She was also bubbly and outgoing, a natural people person. By now she’d decided that being a dental assistant was not for her and was studying part-time towards a nursing diploma. The only downside to the cozy domestic arrangement was that Keith’s specialized welding skills were in high demand, meaning that he frequently had to work away from home. Often, he’d be on the road four days a week, keeping him from his family. He was missing out on seeing his boys grow up and that made him unhappy. Eventually, he decided to do something about it. Keith’s solution to the problem was to stop taking on jobs that required travel. Instead, he found work at a local company, performing humdrum welding jobs that were way below his skill level. The downside was that this job paid a lot less than the specialized work he’d been doing before. That soon became a problem. Darlene had always loved to shop. She enjoyed wearing designer labels and having fine things in her home. With her husband’s reduced income that quickly became an issue. Keith urged her to rein things in but Darlene seemed oblivious to their changed financial circumstances. She kept on spending, racking up debts and maxing out the couple’s credit cards. That, in turn, led to vicious arguments over money and the fights soon spilled over into other areas of their relationship. Keith was particularly scathing over Darlene’s parenting skills; she responded by accusing him of failing to provide adequately for his family. By 2005, the once perfect marriage had been strained to near breaking point. The couple were still living in the same house but otherwise they more or less ignored each other. Given the path they were on, it seemed highly likely that the Gentrys would end up in divorce court. But in the early morning hours of November 5, 2005, the marriage would be dissolved in a different way. That was the day that Darlene made a desperate 911 call, telling the dispatcher that her husband had been shot during an attempted robbery. “There’s blood on the bed and he’s gurgling,” was how she described Keith’s condition. Officers rushed to the scene where they found Keith exactly as Darlene had described. He’d been shot in the head at close range and while he was still breathing, paramedics did not hold out much hope for his survival. While Keith was rushed to the hospital, police officers carried out a search of the house. They found nothing that was immediately of interest. The assassin was long gone and had apparently taken the murder weapon with him. But what really perplexed the officers was the apparent lack of motive. Nothing had been stolen from the house and there was no evidence that Keith had put up a struggle. Why then had he been shot? The grieving widow was quick to suggest a reason. She believed that the robber had broken in with the intention of stealing Keith’s gun collection and had been caught in the act. Keith had been shot during the ensuing struggle. On the surface, that seemed viable, although a couple of factors said otherwise. The gun safe had not been forced, it had been opened with a key. And none of the firearms was missing other than the murder weapon, now determined to be a .22 caliber revolver. Detectives were not convinced by the botched robbery theory. In fact, they’d begun to suspect that the shooting might have been a hit. Did Keith have any enemies, they asked Darlene. No, she replied, he was loved by everyone. Had she heard anything, the sound of someone breaking in perhaps, or the gunshot? Again, the answer was no. Had she tried to render first aid to Keith since she was, after all, a trained nurse? Darlene said that she hadn’t and couldn’t say why she’d failed to do so. That only served to deepen the investigators’ suspicions. To them, it had now become a question of whether Darlene Gentry had shot her husband herself, or whether she’d hired someone else to do the job. Darlene was therefore asked to come down to police headquarters to answer some questions. Darlene’s statement began with an admission that she and Keith had argued on the night he died. The quarrel was, as always, about money. It had become so vicious that she’d eventually decided to get out of the house for a while to calm herself down. She gotten into her car and driven to visit a friend in a nearby town, about 30 miles away. She was home by 9 p.m. Keith had already gone to bed by then and she hadn’t wanted to disturb him. She’d therefore gone to sleep in her son’s room. At around 1:30 a.m., according to Darlene, she’d been awakened by her baby crying. She’d gone to attend to the infant and had realized that he needed a diaper change. Having done this, she took the diaper outside to throw it in the trash, exiting through the back door. She then returned to bed and slept right through. It was only when she went down to the kitchen the next morning that she realized something was wrong. The back door stood ajar and she thought that she must have failed to lock it during her late night excursion. Then she noticed something else amiss – the gun safe was open. That was when she called out to Keith. Getting no reply, she went to the master bedroom, walking in on the terrible scene of her husband shot and bleeding. She’d immediately called 911. It was a plausible story, convincingly told. But the police did not believe a word of it. One reason for their skepticism was Darlene’s demeanor. For a woman whose husband had just been shot and seriously injured, she seemed remarkably calm. Not once did she ask about Keith’s condition, not once did she demand to be allowed to go to the hospital to be with him. By the time she did eventually arrive at the ICU, there was devastating news. Doctors had determined that Keith was brain-dead and were suggesting that the life support systems should be turned off. Darlene gave her permission without hesitation or emotion. The police then drove her back to the station and laid their cards on the table. They had uncovered a motive, two life insurance policies worth an estimated $750,000. 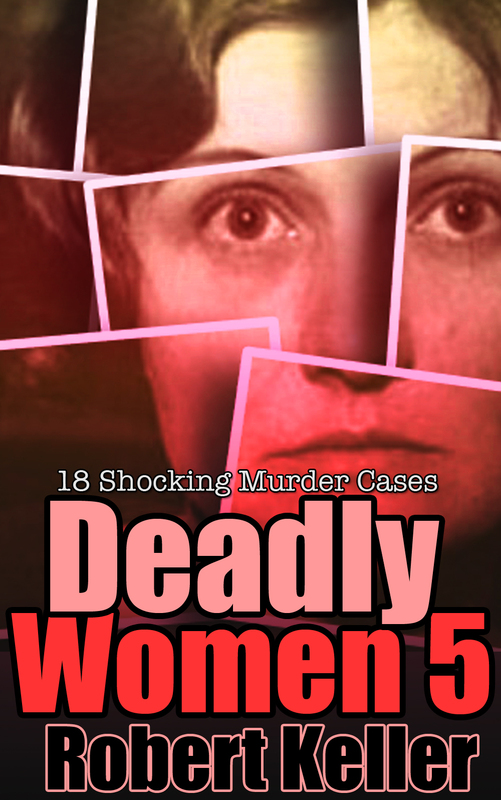 They believed that Darlene had shot her husband for the money, something which she vociferously denied. Pressed for a confession, she asked instead for an attorney. 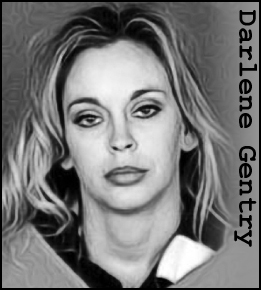 Charged with murder, Darlene was soon out on bail, the bond posted by her dead husband’s parents. She and her sons then moved in with her in-laws’ but Darlene was restless, saying that she wanted to be away from the scene of the tragedy. She spoke of plans to buy a piece of land in the country, where she could build a home for her boys. She even started shopping around and appeared particularly interested in one lot, near Axtell. She soon began negotiating to buy the land, telling owner Robert Pavelka that she was about to receive a substantial insurance payout. Then, in the midst of negotiations, she had an apparent change of heart. Now she insisted that she would only buy the land if a pond on the property was filled in. This struck Pavelka as odd, since Darlene had earlier been enthusiastic about this particular feature, saying that her sons could fish there. While all of this was going on, the police were building their case. Darlene’s hands had been swabbed in the aftermath of her husband’s shooting and had come back positive for gunpowder residue, suggesting that she’d recently fired a gun. (She had insisted during her interview that she’d never handled a firearm in her life). The police had also found a surgical glove in the trash can at the Gentry residence. Subjected to DNA analysis, the inside of the glove returned a match to Darlene. The blood on the outside was matched to Keith. The same trashcan yielded another important piece of evidence – a .22 shell casing. Things were not looking good for Darlene at this point. And yet, prosecutors were subdued, acutely aware that they did not have the key piece of evidence they needed. 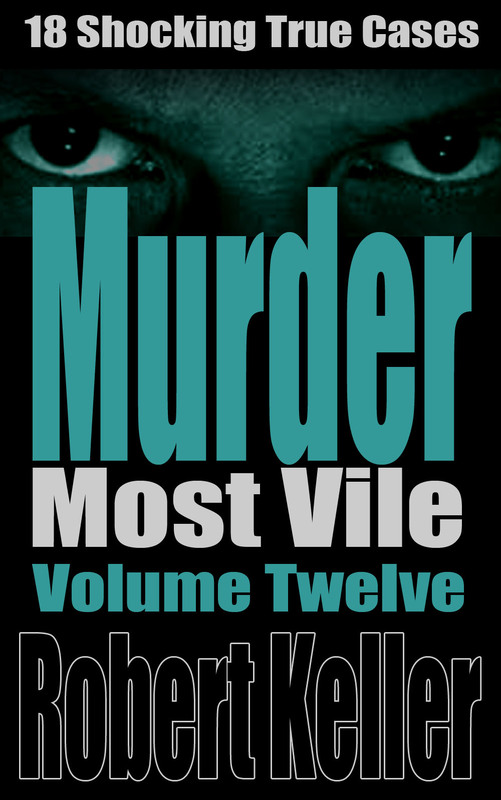 The lack of the murder weapon presented Darlene’s defense with the opportunity to make a case for reasonable doubt. With the murder weapon, the prosecution case looked like a slam dunk. Without it, it was 50/50, at best. But prosecutors were about to receive a massive boost, courtesy of Darlene herself. Her dilly-dallying over the property purchase had aroused the suspicions of the prospective seller. Why this sudden fixation with having the pond filled in? Was there something within its murky depths that she wanted to hide? Could it perhaps be the .22 revolver the police were so desperately searching for? Pavelka, who’d followed the case in the media, thought this a strong possibility. He therefore made a call to the Texas Rangers. They, in turn, asked him to participate in a sting operation. In early January 2006, Darlene Gentry received a call from Robert Pavelka about the property she was trying to buy. He told her that he was willing to comply with her wishes and fill in the pond. First, though, he was going to have to drain it. That news sent Darlene into a panic. She’d barely hung up the phone when she was of out the door, getting into her car, driving in the direction of the Axtell property. There, she waded into the muddy waters of the pond and started feeling along its bed, quite obviously looking for something. She would spend several hours at this enterprise but ultimately she would come up empty. The gun had already been recovered by police divers. Unbeknownst to Darlene, the pond was also under video surveillance and every moment of her desperate search would be caught on tape. The incriminating video footage would form a key component of the prosecution case at trial. Surprisingly, Darlene’s defense made no attempt to have it suppressed and in the end that would prove their client’s undoing. Found guilty of first-degree murder on February 8, 2007, 34-year-old Darlene Gentry was sentenced to 60 years in prison. A subsequent appeal, which sought to exclude the video footage, was turned down. The one-time glamor girl is currently a guest of the Texas Department of Criminal Justice. She will be eligible for parole in February 2037.